Fran was born on August 8, 1932, in Oelwein, Iowa, the only child of Marye (Urban) Fortney and Frank Fortney. At birth Fran weighed just over two pounds. The doctor did not expect her to live – but the doctor didn’t know the indomitable spirit inside that tiny frame. At the age of four, the family moved to Billings to be near her maternal grandparents. During WWII, Fran’s mother traveled to California and worked in a factory to support the war effort. Fran remained in Billings with her grandparents, forging a deep and special bond with her grandmother, Lucy. Fran’s grandparents and her three uncles were talented musicians. Many nights the family would gather to play various instruments and sing. These early sing-a-longs nurtured a lifelong love of music. Fran was a gifted musician. She began studying piano at a young age, eventually mastering the ivories. She was also an accomplished organist and singer. Fran didn’t just play music, she made the notes come alive. Over the years Fran played for many churches in the community, including St. Patrick’s Co-Cathedral, St. Thomas and Mary Queen of Peace. She also played for countless special events and was the organist for the First Church of Christ Scientist. Fran’s Catholic faith was very important to her. She attended Catholic schools and graduated from Billings Central Catholic High School. Fran’s classmates were lifelong friends, and she delighted in hosting class reunions. While working as a legal secretary, Fran enrolled in La Salle Extension University and earned a degree in law. In 1959, Fran met Calvin Calton. Six weeks later the couple eloped. Fran and Cal were not only life partners, but law partners as well. Travel was Fran’s passion. When their five kids were young, the couple piled everyone into a station wagon and went camping. Eventually they traded the station wagon for a motorhome. Fran was the ultimate tour guide, fearlessly leading her family all over the United States, Canada and Mexico. As the kids began to leave the nest, Fran and Cal downsized to a Honda Goldwing and toured the country with their lifelong friends, George and Susan Spears. The foursome also traveled together all over the world, visiting Macha Picchu, Prague, Paris, Santorini, Ephesus and Jerusalem as well as many other places. For more than 57 years Fran and Cal enjoyed life together. Fran’s life was focused on family, faith and fun. 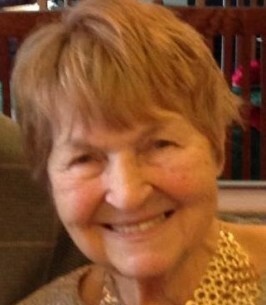 She was lovingly known as Grandma Whee by her grandchildren and great grand children. People loved being around Mom. She had a wonderful sense of humor and never held a grudge. On November 28th Fran joined her beloved husband, Cal, in Heaven. She is survived by her five children, Sally (Steve) Zirkle of Richardson, Texas, Allyn (Eric) Hulteng of Billings, Calvin (Rachel) Calton of Shepherd, Clay (Teri) Calton of Helena and Lael (Kelly Anderson) Calton of West Yellowstone. She is also survived by her grandchildren: Rebecca Ruth Zirkle, Ben (Hayley) McCuiston Zirkle, Taylor (Aaron) Pohle, Alexandria (Nathan) Wright, Alex Hulteng, Andrew Hulteng, Kelsey (Tyson) MacDonald, Tanner (Madison) Meitzel, Haily (Nick) Anderson, Ben Anderson, Vincent Calton, Zelena Calton and Joseph Calton, and four great-grandchildren: Brooklyn, Kinsley, Sadie and Taytum. Mass will be held at 2 p.m. on Thursday, Dec. 6, at Mary Queen of Peace Catholic Church, 3411 3rd Ave. South followed immediately by a Celebration of Life. The family wishes to thank Fran’s many caregivers at West Park Village, Visiting Angels, Compassus Hospice and Fr. Jose. A special thank you with love to George and Susan Spears. To plant a tree in memory of Frances M. Calton, please visit our Heartfelt Sympathies Store. We have fond memories of dinner invitations to Eric and Allyn's knowing Fran and Cal would be there. Fran, with her easy, quiet presence ... always with an inviting smile. And so gracious! Oh how we do miss them. Our deepest condolenses to her family.